A romantic historical novel can be exciting and challenging, as well as comforting and enjoyable. 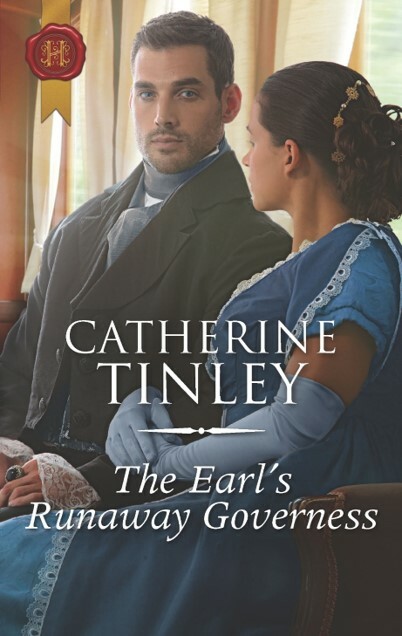 Tinley’s novel is a great example of intelligent historical romanticism, where the characters are distinct, their motives as complex as they would be in life, and the plot is satisfactorily engaging. This novel not only draws the reader in, but maintains interest and has an ending that means the last part of the book is compelling. As a long term admirer of Georgette Heyer, I am reasonably well read in this type of book, and really enjoyed this beautifully written novel. I was therefore very happy to be asked to read and review this novel by an experienced and confident writer. Marianne Grant must leave her home where she has been carefully brought up to expect a continued, comfortable life and an advantageous marriage. However, on the death of her loving parents a few months before, she has fallen under the guardianship of her stepbrother Harry whose feckless and spendthrift ways and drunken house parties have changed her life. This sad situation culminates in an attempt on her virtue by Harry, only foiled by the devotion of the housekeeper Mrs. Bailey. She departs in great secrecy taking minimal money and her mother’s jewels, and travels, for the first time alone, to London hoping to get employment. To her relief she is sent to a country house as governess to Lady Cecily, the twelve year old daughter of the impractical newly widowed Lady Kingwood. As Marianne has adopted the alias of Anne Bolton, when she meets the new Earl of Kingswood, Ash, he is at first uninterested in a plainly dressed employee. He is trying to come to terms with his new status as an Earl at the death of his cousin John, and the sad state of the house and estate, while seeking to forget his youthful attraction to “Fanny”, now Dowager Lady Kingswood. It soon becomes obvious that Anne is the only one who can manage and organise the household, and she becomes happily involved. She is living a new life, but she cannot escape her past completely. She also worries about her relationship with Ash; while she is undoubtedly attracted to him, and they have good humoured conversations, neither of them is certain of the other. While Anne finds many positives in her new identity, she still doubts how long it can last for. Ash is more than a fixed hero figure, as he still makes assumptions that bring their own problems. This is a lovely romance, but there is a hard level underneath as one character reveals many undesirable elements and there seems to be no escape. The research into the carriages and types of business relating to travel is impeccable. The clothes are beautifully described and well suited to the state of the characters as they develop throughout the book. In short, this book has all the ingredients for an excellent historical romance and I can thoroughly recommend it as a brilliant read of its type, with just the correct amount of tension for a relaxing read. I think that this is often where novel reading can be a great help when life is difficult. I have been known to read Jane Austen in times of great stress, but when you run out of those, Georgette Heyer and her modern followers can be a big help. However good a literary novel can be in all its modern challenging ideas and convention breaking themes, there will always be a place for genuinely wonderful historical fiction like this, so well done Catherine and I shall certainly be looking for more of your books!